With hockey season underway, we tend to think of our neighbors to the North to be good for 2 things(hockey and cheap strip clubs in Montreal ha). Although there are only a few Canadiens on the PGA tour(Weir,Ames,etc), golf in Canada is very popular. I saw this pic that Matt Ginella tweeted and wanted to share it. 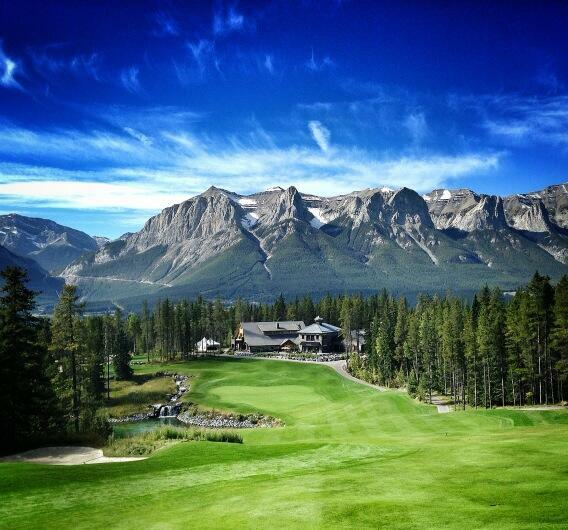 It is Silvertip golf resort in Alberta CA 18th hole…..foreeeeeee eh. Reviews start tomorrow. Weekends will be out of state reviews,trips,random stuff like this.